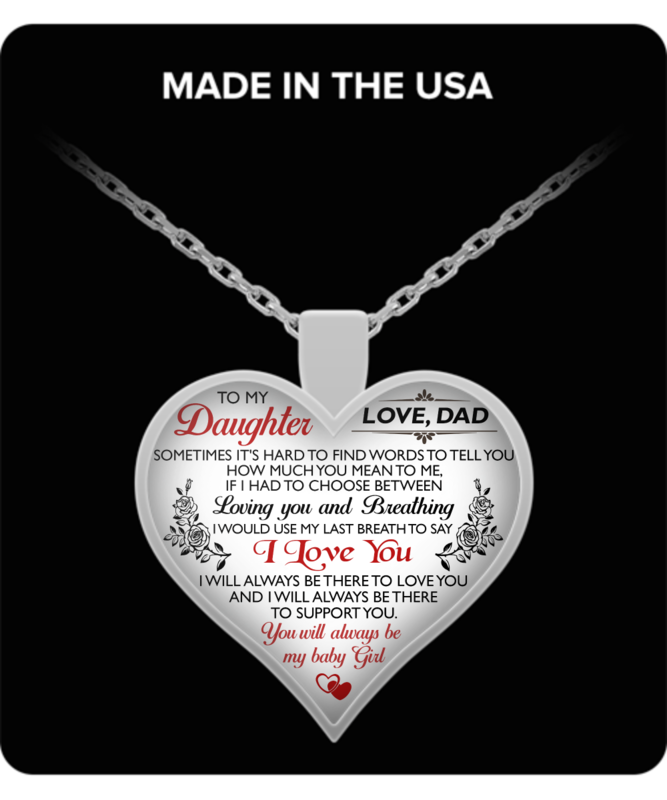 Surprise Your Daughter with this beautiful necklace and melt her heart! Get Yours Now - She's worth it! * IMPORTANT: We provide a 100% satisfaction guarantee - a full refund is available if you're not completely satisfied. High quality gold plated necklace chain. Note: the core metal of the necklace is zinc alloy that is then wrapped in a gold plating. Since the core of the pendant is zinc alloy it does not have a karat rating. The gold plating is 0.2 millimeters thick to ensure a beautiful, lustrous, shine. A custom hardened resin insert is placed on top of the pendant to give it the highest quality color vibrance possible. I absolutely love it.. fantastic job. I am very very pleased with the necklace and you can be sure I will be ordering from you again. Thank you very much for such a beautiful necklace and workmanship..
Thanx for delivering my daughters necklace on time. Great job and I hope we can do more business!😁👌.